Posted on September 5, 2017 . 7 Comments. At StrongFirst, we recognize tension and relaxation as two sides of the same performance coin. But we often find it easy to focus exclusively on the former, since improving tension production equals demonstrable improvements in strength. 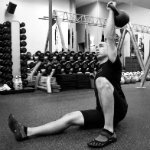 You’ll find many exceptional resources on this website that will help you maximize your ability to produce tension regardless of the tool—kettlebell, barbell, or your own body. 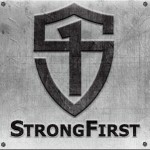 That’s what it means to be StrongFirst: strong no matter the object or the situation. But when was the last time you tried to intentionally sharpen your ability to relax and recover quickly? In a fitness world inundated with met-cons, high intensity, more reps, less rest, and heavier training loads, it is not uncommon for us to view rest periods (if they’re even included) as downtime in our training rather than an opportunity to improve our physical capacities. Strength is a skill. As such, it must be practiced regularly and with focus in order to earn proficiency in its use. The ability to relax on command is no different. It’s time we boost our physical attributes by cultivating an approach to relaxation training that mirrors our dedicated pursuit of strength. Neglecting proficiency in relaxation techniques could leave you with untold amounts of unmined performance. But what about times when life, work, or competition start overloading one particular area of the body? For example, your gripping muscles? In this scenario, the best solution is the use of targeted recovery exercise to counter localized fatigue. Specificity in active recovery could augment fast and loose drills for strategic increases in performance when the events in which we’re participating demand intense or sustained localized muscular efforts. Arm dangling is a grip recovery technique used throughout the rock climbing world. It is just as it sounds. You shake your entire relaxed arm to increase local circulation and expedite grip recovery. This is often used by rock climbers after warm-up exercises, during ascents, or between routes. You may be wondering, “Isn’t that just a fast and loose exercise?” It is, but one important distinction needs to be made. Where fast and loose drills often aim for systemic recovery between exercises, arm dangling focuses on the recovery of the muscles responsible for gripping: the fingers and forearms. Given that the same muscles are involved whether you’re holding on to kettlebells, barbells, pull-up bars, rock, or opponents, this arm-dangling approach should be intriguing to the StrongFirst student. And given that we are StrongFirst and always looking for the best solutions, let’s not just examine arm dangling, but explore the concepts behind G-Tox. G-Tox is an approach, pioneered by Eric Hörst, that takes the dangling-arm technique and tweaks it to produce a superior grip recovery technique.6 The simplest iteration of G-Tox is essentially the same arm-dangling drill you’ve probably done yourself or seen others do, but performed in a unique position. Shake one arm while it’s held overhead for five seconds. Drop the same arm down to your side and shake in that position for five more seconds. Repeat steps one and two with the other arm. You’ve just completed one round of G-Tox. Alternate this protocol between arms as time allows for your given exercise or event. If time and demand allow, repeat another round of G-Tox or move on to another fast and loose drill. A climber and researcher named Luke Roberts set out to compare the grip recovery effects between using arm dangling and G-Tox techniques. Rock climbers of comparable skill levels completed a climbing traverse before being given a two-minute recovery period. Some used traditional arm dangling to restore their grip, while others were instructed to use the G-Tox method. Then, their hanging grip strength (HGS) was tested. Despite the superficial similarity of these techniques, the climbers using G-Tox experienced an 18% increase in HGS compared to a 2% increase in HGS among the arm dangling group. That’s a nine-fold improvement simply by changing the position of the recovery technique. While this positional difference may seem rather inconsequential, the grip recovery improvements using G-Tox over normal arm dangling are shown to be substantial. Such an assertion that a small change can make a big difference shouldn’t be a surprise to any of us since various principles spearheaded by StrongFirst involve small changes in technique that often make the difference between success and failure in training and competition. For instance, the appropriate application of irradiation can instantly increase your kettlebell pressing strength (see Dr. Marker’s article here). In fact, the G-Tox technique may be viewed as the inverse of irradiation, or the other side of the coin. As Pavel has noted, “Tension is strength and power. Relaxation is speed, endurance, and flexibility.” Here, once again, the two sides of the performance coin are appraised for the respective qualities they build in a student of strength. They are not at odds, but complementary and deserve their own space and attention while training. While you may not be training specifically to scale rock walls, the training applications of the G-Tox recovery method are still wide and appreciable for the StrongFirst community. From a comprehensive viewpoint, G-Tox is a perfect tool for immediate use. It’s simple and can be plugged into your normal fast and loose practice between sets of deadlifts, snatches, presses, or loaded carries. If you’re currently keeping your training Simple & Sinister, it will help quickly restore your grip between sets of swings or get-ups. For targeted recovery during competition, G-Tox also fits the bill. It’s no secret that the Tactical Strength Challenge will test the limits of your grip strength and endurance. Even when trained by themselves, heavy barbell deadlifts, strict pull-ups, or snatches can do that. Competitively complete them in sequence and you have a perfect environment to use the G-Tox technique to your advantage. It bears repeating: tension and relaxation training go hand in hand. Remember to practice both with focus, but at the appropriate times—use relaxation strategically and purposefully, not as filler between exercises of tension. Cultivating the capacity to relax instantly is part of the StrongFirst approach to improving overall physical development. Flip the coin: during your next training session, add a new relaxation drill like G-Tox to your fast and loose arsenal to boost performance through accelerated grip recovery. 1. Ahmaidi, S. Granier, P. Taoutaou, Z. Mercier, J. Dubouchaud, H. and Prefaut, C. (1996) Effects of active recovery on plasma lactate and anaerobic power following repeated intensive exercise. Medicine and Science in Sports and Exercise 28, 450-456. 2. Bangsbo, J., Graham, T., Johansen, L. and Saltin, B. (1994) Muscle lactate metabolism in recovery from intense exhaustive exercise: Impact of light exercise. Journal of Applied Physiology 77, 1890- 1895. 3. Belcastro, A.N. and Bonen, A. (1975) Lactic acid removal rates during controlled and uncontrolled recovery exercise. Journal of Applied Physiology 39, 932- 936. 4. Corder, K.P., Potteiger, J.A., Nau, K.L., Figoni, S.F. and Hershbereger, S.L. (2000) Effects of active and passive recovery conditions on blood lactate, rating of perceived exertion and performance during resistance exercise. Journal of Strength and Conditioning Research 14, 151-156. Currently earning a M.S. in Kinesiology, Tony continues to pursue expertise in physical and psychological training methodologies at a theoretical and practical level. 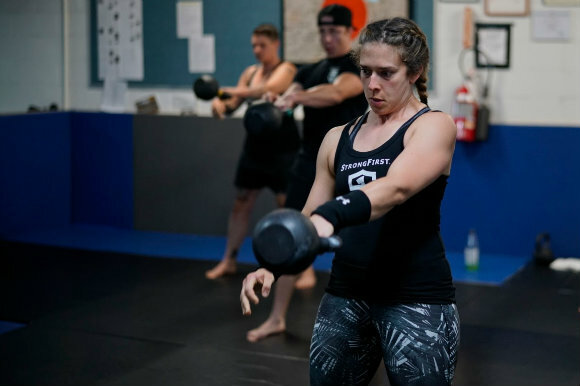 Education in the School of Strength further refines his kettlebell instruction and practice. He utilizes StrongFirst principles alongside an interdisciplinary training background to maximize his students' capacity for self-directed performance, vitality, and longevity. That’s pretty cool. I can’t wait to try that! Yes, dangling in any position (aka fast and loose) will help other muscle groups recover faster. However, what makes G-TOX so effective is using gravity to help flush fatigue from your arms. I suppose you could try dangling your legs above your torso, but you the fatigue cost on your arms to hold yourself upside down may not be worth it. Alternatively, getting in a supine position for leg dangling may take too long or feel like recovery. Give it a try for quad intensive activities and report back! I’ve been climbing for over 40 years. This is a very useful piece. It seems very applicable to combat sports after working the heavy bag or muay thai padwork. I will definitely implement right away. Excellent, timely article as I begin TSC prep this week! This is perfect for active rest between sets of snatches. Glad we timed the publication right. Thanks for reading. All the best with your TSC preparation and performance!